One of the most common questions asked by entry level job seekers is: “Why am I not getting any interviews?” This lament is often followed by a general description of the activities the job seeker has performed, which usually includes sending out hundreds of resumes with virtually no response. You likely know the answer to the question. There is something fundamentally wrong with your job search and sending out hundreds of resumes is not going to get you any interviews. You put it together quickly and haven’t really taken the time to format it correctly or update it properly. So you’re not getting a second look and you’re not getting any interviews. You are applying for jobs, but they are not the right ones. You need to apply for jobs for which you meet the basic qualifications of the role. So stop doing a quantitative job search and start doing a qualitative job search. Start with your resume. Go back and analyze all of your content. If any part of your content isn’t positive, remove it. 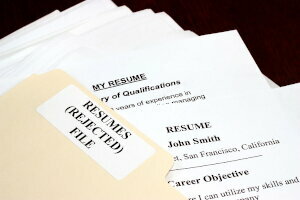 Then make sure you have your best content in the right resume format for internships and/or entry level. CollegeGrad.com now provides our award-winning resume format for free with our Quickstart Resume Generator. Simply add your content and we automatically format it for you. 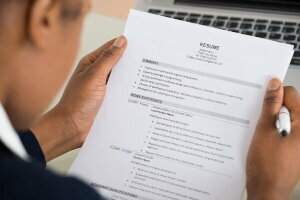 You end up with a great resume that is completely customizable. Then look at the jobs. Stop applying for “experience required” jobs and begin applying for entry level jobs and internships that are specific for entry level college students and recent grads. At CollegeGrad.com, we have a search feature that allows you to limit results to only entry level jobs and/or only internships. Yes, there are far fewer jobs of these types than the ones that require experience. But you will actually be qualified for these jobs and will receive a much higher response rate. If you are looking in a limited geography, now may be the time to expand your geo to include jobs which fit better, even if they are further away from your ideal location. It is better to be flexible with your geo than unemployed in your parents’ basement. Then send out a quality response. Don't just click and send, but actually taking the time to customize your resume for the position and the requirements of the role. Taking the extra time to customize your response will go far in increasing the odds of an interview. And beyond job postings, be sure to also contact everyone in your network. Remember, it’s not who you know, it’s who they know. Get your finished resume in the hands of your network contacts to expand your search exponentially. I am a firm believer that there is a job out there for everyone. Your job is to find it. And we’re here to help you once you get the interview, with plenty of info for prepping for your interview.